 The Blue Orchid is located on the grounds of the historic St. Peter Greathouse and Botanical Gardens. Nestled high in the volcanic peaks of St. Thomas in the Virgin Islands. A true Virgin Islands treasure, we offer flavorful globally inspired cuisine, paired with a breathtaking vista. Come spend a remarkable evening with us and enjoy our spell binding location, 1200 feet above sea level, overlooking fourteen islands and the azure waters of the Caribbean Sea. Arrive early and sip sunset drinks from the observation deck, followed by savoring our chef’s latest unique creation, or enjoy steaks, seafood pastas, and fresh fish from the innovative menu. Experience our menu from world renowned Chef Karl Foster, who was recently inducted to the Chaines de Rotisseurs. Summer in St.Thomas is a great opportunity to catch our gorgeous breezes while enjoying 20% off our happy hour pizza from 4:30-6:30. Make sure to check out our Facebook page to hear about the various events we hold at the restaurant. Also, join us for brunch on Saturdays and Sundays from 10:00 am – 2:00 pm. We can’t wait to introduce you to our restaurant in paradise!